A pleasant Irish-style pub with nice decor on Sixth Street (near Brazos Street) with a dozen taps (Guinness, Fat Tire, Shiner, etc.) and tasty pub grub (steak, burgers, fish and chips, stew). This brewpub is three blocks south of Sixth Street, and offers great examples of house made, craft beers. Get a sampler and try the E-Z Wheat, Bat City Lager, Barnsteen Belgian Amber, Austin Pale Ale, Hammerhead Porter, and seasonal brews. Unique food items include: spit roasted chicken, jerk chicken linguine, fried antelope with jalapeno gravy, and pecan roasted trout. 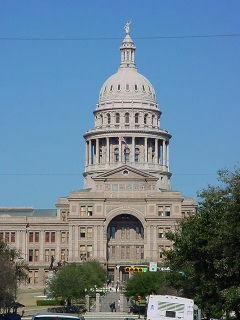 This is the best beer pub in Austin! It is a $10 taxi ride from downtown, but the six or so excellent house brews (IPA, Porter, Barleywine, Dubbel, Spiced Ales) make it well worth it. There are also around 70 guest taps with some of the best beers available in the area; and the no-smoking area to the right of the bar is pleasant. Pizzas, nachos, and calzones make up the pub fare. 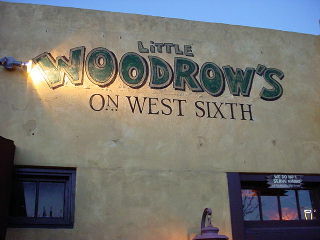 Little Woodrow's has a good selection of around 30 decent beers. It is a fun pub with food delivered from nearby restaurants. The place used to be a garage -- as the large rollling doors up front give evidence; and there are a multitude of televisions and video games for entertainment. Be sure to tell them you do NOT want your beer mug to be frosted. 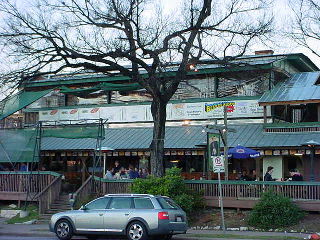 Lovejoy's is located a half block north of East Sixth and has an extensive selection of draft and bottled beers. They also offer 4-5 house brews that are really cheap during happy hour. The house beers are inconsistent at times, so ask for a sampler before you order a pint. The place is very bohemian and cool with two pool tables and a killer juke box. 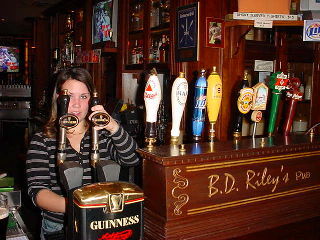 The place is about as Irish as my "arse," but it is still a relaxing place to grab a fresh Guinness. 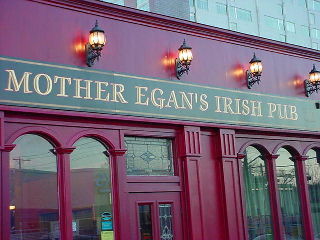 Mother Egan's is located out on the west end of Sixth near West Ave. (across from Opal Divine's). Opal Divine's is across the street from Mother Egan's and is a large, multi-level bar and restaurant that is "party-central" for this end of Sixth Street. The beer selection is typical, and the pub grub is filling. 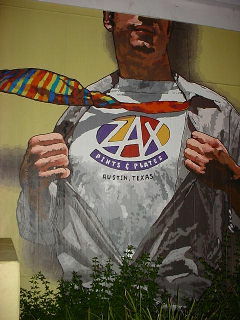 Zax has a good selection of regional and import beers and is located across the river near the Hyatt hotel. Their food is outstanding too. 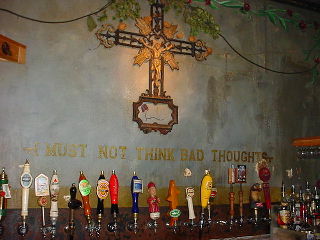 Gingerman, 304 W. 4th Street, ph: 512-473-8801. Part of the Gingerman beer pub chain. Great selection of microbrews and imports. 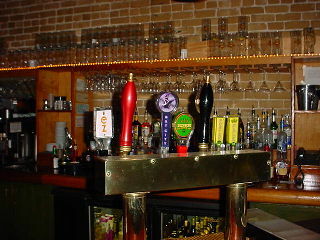 Copper Tank Brewing Company, 504 Trinity Street, ph: 512-478-8444. Use caution - mixed reviews of late. 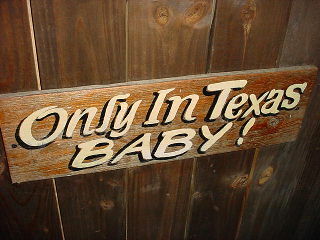 North by Northwest Restaurant & Brewery, 10010 N. Capital of Texas Hwy., ph: 512-467-6969. Brewpub out in the suburbs. B.B. Rovers, 12636 Research Blvd., 101-B, ph: 512-335-9504. 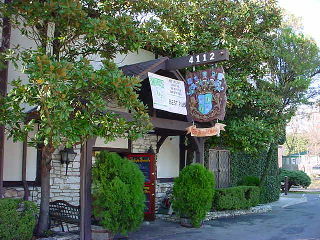 Crown and Anchor, 2911 San Jacinto, ph: 512-322-9168. Scholtz Garden, 1607 San Jacinto, ph: 512-477-4171. Old neighborhood German beer pub.